Last fall I decided that it was time to start looking at a new putter. I tried several different models and brands but just couldn't seem to find "the one". While playing a round at a course in another area, I was paired with a gentleman that owned an older Piretti. He kindly let me try it out and I knew it was the perfect match. After discussing my needs and specs, he suggested the CW2. After 3 weeks with my new Cottonwood II in midnight black finish with a white Iomic grip, I am soooooo happy with my purchase! I have a custom putter at a retail price. It looks like a freakin' piece of art and can't wait to pull the headcover off when I get to the green. The feel is perfect! Without question, I'm a very happy customer and would recommend Piretti putters to anyone looking for a new flatstick. I have a CWII torched and it is one of my favorites of all time and my current gamer. Soft with deep face milling and the size of the flange for me is perfect, not too wide and not too narrow. I love everything about this putter, price was very reasonable for the quality and the customer service was great. Do yourself a favor and try one! agree with what everyone is saying about piretti! you just have to try one! I picked up a used CW II a little while ago and really liked the feel but ended up ordering a Potenza II directly from Piretti and selling the CW II. 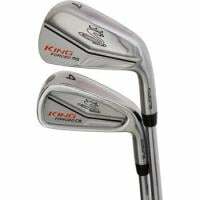 They're such beautiful putters and are constructed exceptionally well. The balance and feel are wonderful. I'd highly recommend that anyone looking for something special take a look at the Piretti offerings. Mike Johnson responded directly back to me as well and couldn't have been nicer. I get the impression that the same level of craftsmanship and care went into making my putter as went into Stenson's Piretti. It's definitely attracts attention and I've had many people ask me if they can take a closer look at it. Can't wait, I have a CW11 coming my way real soon!! 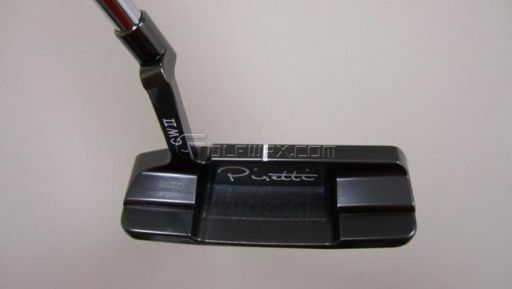 I've always wanted to try a Piretti...nice looking putters. I really like my Cottonwood II. The wider flange in the CW2 suits my eye and the black onyx finish is great because it's a carbon steel putter but is basically maintenance-free. The feel is interesting. It's not buttery soft like a fit face Bettinardi and isn't even as soft as a 303 Cameron. However, it's got a very nice, pleasant click. I'm assuming that's because Pirettis have 2.5 degrees of loft rather than the standard 3 degrees. Aesthetically, it looks great. With some wear, the black starts to look a bit like a gunmetal finish. 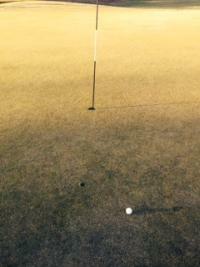 I've gamed lots of putter in the past few years but it'll be hard to knock the Piretti out of my bag.